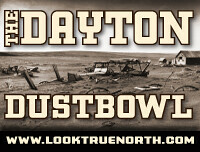 Remember when we first looked at the Dayton Dustbowl, back on Labor Day? We looked at all the holes in the original Dayton Dustbowl – the 1.0 version of Mark Dayton’s budget plan. One bit that got carried through verbatim in Dust Bowl 2.0 was this plan – to save $425 million per biennium by halving the number of contractors employed by the state. Has it really only been a month? Dayton’s correct that the state spends approximately $850 million per biennium on outsourcing. And cutting such activity in half could save the state more than $400 million. But in practice, Dayton’s plan appears difficult to implement. Many of the state’s contracts provide essential services that the state would still have to supply one way or another. Further, Minnesota law requires departments and agencies prove no state workers can take on these tasks before they contract with a firm. Minnesota contractors already provide services that are either legally mandated, completely unavailable on the state workforce, or both; bridge engineers, business analysts, concrete workers, surveyors, usability engineers, prison doctors and the hundreds or thousands of other jobs that state doesn’t need at all, until they absolutely, positively do. If the state gets rid of “half” of the contractors – who are already doing jobs that the state needs, but does not have in the workforce – then in most cases someone’s gotta do it. And that “someone” is going to be union labor, in all its exquisite expense, and racking up all those hideously expensive defined-benefit pensions that are going to eat this state alive about the time our kids start paying taxes. The way I see it, that’s a $425,000,000 hole per biennium blown in the Dayton 2.0 budget. Tack that onto the $890,000,000 shortfall it already has – by the Dayton campaign’s own admission! – and the Son Of Dayton Dustbowl is actually $1.315 billion short of solving the deficit. The conservative alt media has called another one. This entry was posted in Dayton Dustbowl and tagged MNGov 2010 by Mitch Berg. Bookmark the permalink. I think government employee unions (including teachers unions) should be defined contribution plans, with the contribution dollars only allowed to be invested in local state or municipal bonds. That should bring some sanity to local government spending. That’s the way the Federal system is heading now, Brick. The older plans are grandfathered in. State plans are a different issue.